Winter is here! And that means changing up your summer wardrobe to protect you from the blustering winds and cold weather. It also means changing up your hair care routine to keep your hair and scalp healthy, well moisturised, and frizz free. Lucky for you, we’ve brought you some expert tips and advice from our good friends at Brothers Oxford. Here are a few quick and easy tips to help keep your hair healthy and you happy over the coming winter months. Please give us your top three tips below for keeping hair healthy in the winter? 1. Try and apply a moisture or protein treatment once per week as temperature changes and central heating can cause hair havoc! 2. Still use an SPF protector on your hair to protect against environmental damage and pollutants, even in winter. Hair can become very dry and sometimes causes static during the winter, what products do you recommend to keep the moisture? Moisturising oil or serum can be really helpful in helping with this. Try to avoid over drying and brushing hair when its dry as this can cause further damage. Most of us try to be mindful about preventing damage to our hair, what else can we do throughout the year to keep our hair healthy? A well-balanced diet with lots of fruit and veg will provide your hair with the nutrients it needs. Additionally, lots of water! This will help your hair to stay hydrated. These things together will assist in keeping your hair nourished and healthy. 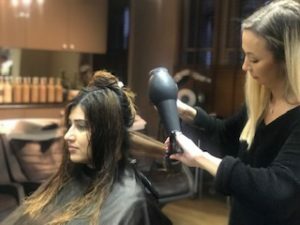 As you know at Brothers Salon no two hair types are the same, what is your advice to those facing multiple challenges with their hair during winter? Think about what your hair challenges are. Is it colour damage, heat damage, environmental damage, or naturally dry course or frizzy hair. Getting specific about your hair challenged will help to find the most effective treatment. Speak to your stylist about this and as they will have the expertise to guide you. Generally speaking, protein helps when challenges are related to colour, moisture, natural dryness, heat protection, SPF protection and environment. You could cover all your bases. For example, a moisturising shampoo such as Aveda cherry and almond paired with a protein conditioner such as Aveda damage remedy and a heat protection product is a great treatment for most hair types. 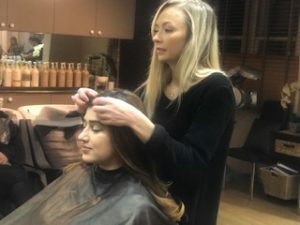 “Today I went to get a conditioning treatment at Brothers salon in Oxford. From the moment I walked in, the atmosphere felt incredibly warm. I was greeted by one of the stylists at the desk who welcomed me and introduced me to the stylists assisting me for the day. I was asked about my hair condition was at the moment, is a little dry towards the ends. 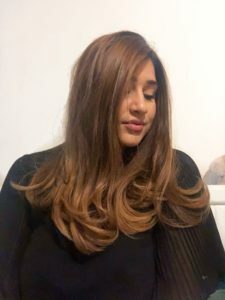 As this is due to both weather and colour, a treatment called the ‘Olapex’ treatment was chosen for me in accordance with my hair condition. As I walked through the salon to the sinks, I was stunned at how beautiful the salon is. It felt incredibly warm and inviting, without compromising elegance and professionalism. 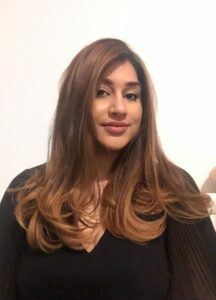 Before my hair was treated, the stylist explained exactly what the treatment entails including the benefits and how often it should be used. 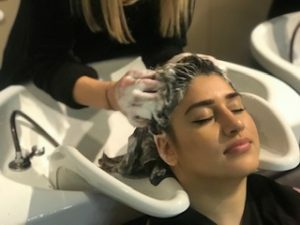 From my experience, this doesn’t always happen at hair salons; it was helpful as I like to know what’s being put on my hair before it goes on! After the treatment was applied and I was given a very relaxing shampoo and head massage, I was assisted to a styling chair for my blow dry. I asked for “smooth but a little curled at the ends” – a bouncy kinda look. 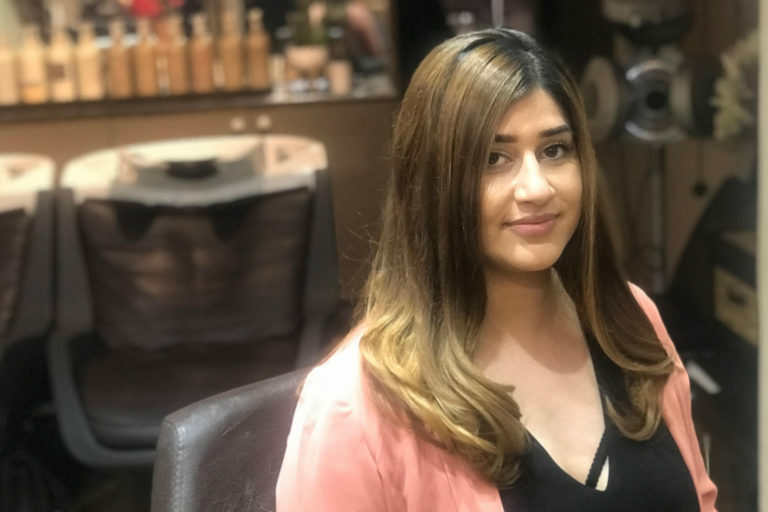 The stylist was very friendly and willing to all questions we had to ask about the products being used during each step.